A Waterloo man has won big with Lotto Max. 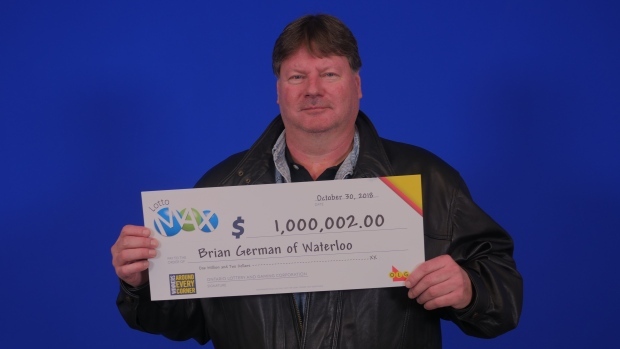 Brian German won one of the $1 million Maxmillions prizes in the October 26th draw. He also won $2 with Encore, bringing his total winnings to $1,000,002. The winning ticket was purchased at the Sobeys on Columbia Street.